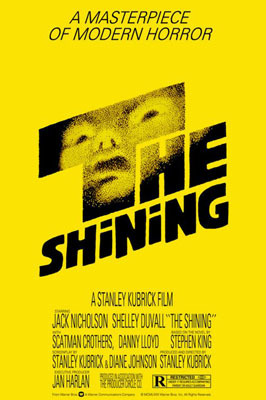 I’ll start with a comment on film technique: the movie titles and the movie’s artwork are a tribute to the late graphic designer Saul Bass! This is not a situation where many words are needed to argue the case. 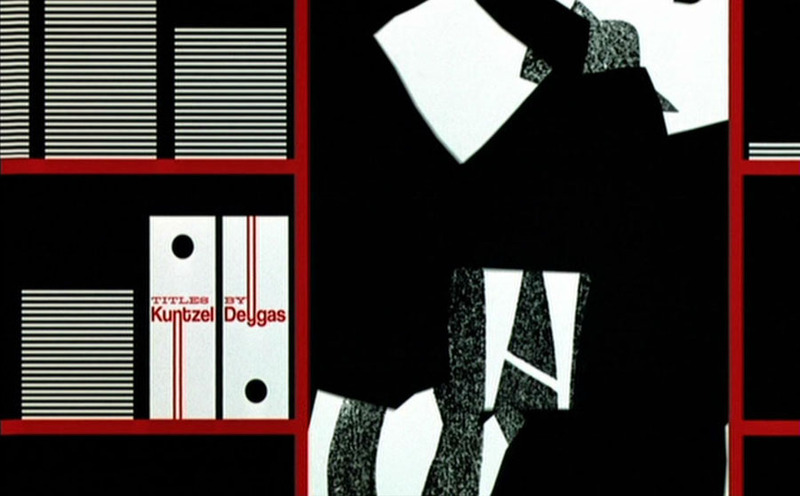 Here are some examples of pure, “minimalist” movie posters by Saul Bass. Judge for yourself! See the similarity — the reduction of shapes to silhouettes and the systematic use of spot colors? 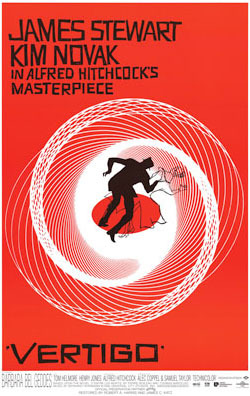 Wikipedia has an excellent page on Saul Bass if you’re looking for extra info. 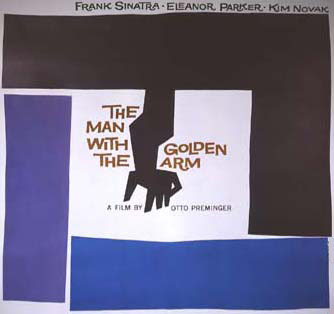 I can save you some Googling too: have a quick look at this overview of overview of classic Saul Bass movie posters. Now watch the opening sequence again if you have to! 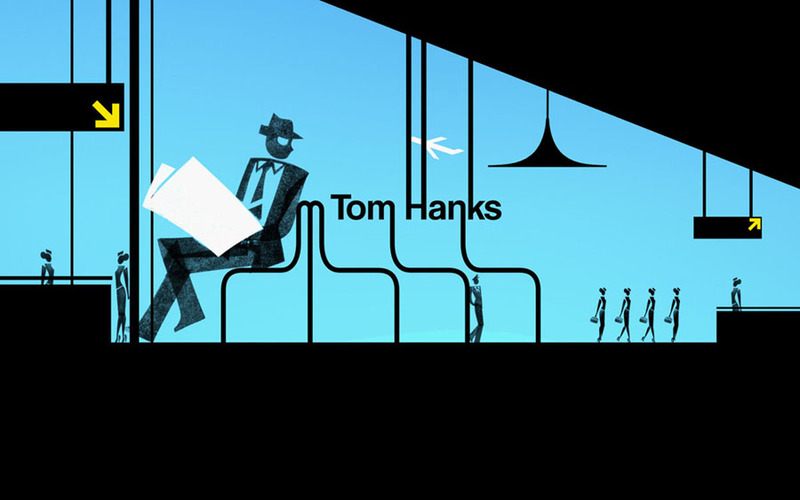 The “retro” opening sequence of “Catch Me If You Can” was designed by the French duo Olivier Kuntzel and Florence Deygas. 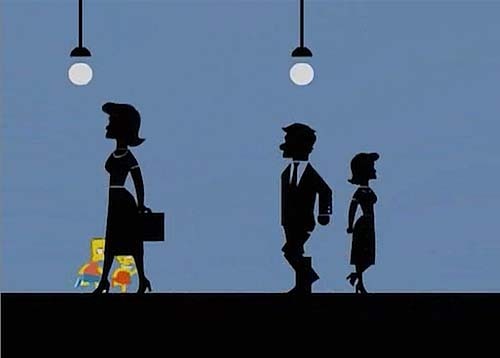 Believe it or not, but The Simpsons in their turn spoofed Spielberg’s opening sequence in “Catch ‘Em If You Can”, the 18th epsiode of season 15. 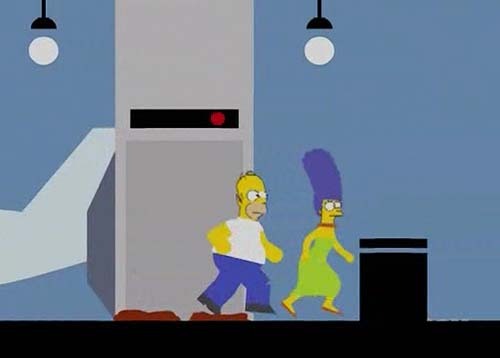 Homer and Marge try to have a vacation alone, but get chased around the country by the children Bart and Lisa. In Atlantic City, they go on the run once more in an animated sequence accompanied by John Williams’ soundtrack! Here’s the clip if you want to check it out, Simpson fans! 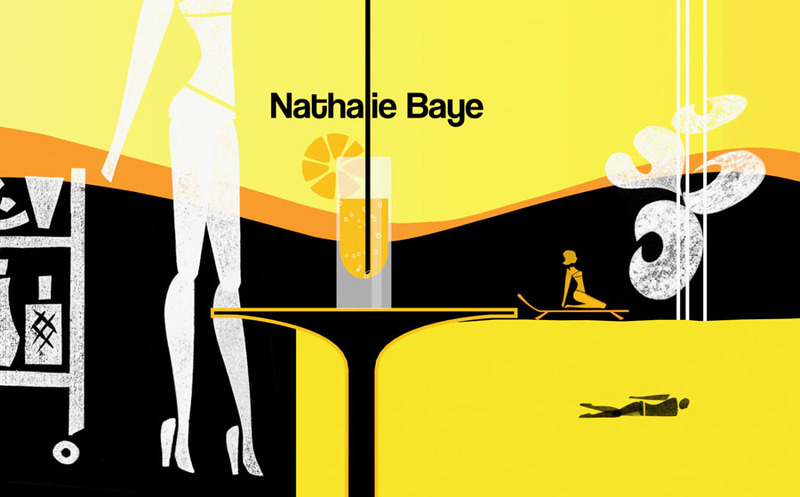 Here are the opening credits if you haven’t seen the movie!